My stepfather is an avid angler. He spends his summers in their cottage just south of Budapest, on the bank of a branch of the Danube river. He loves to fish. 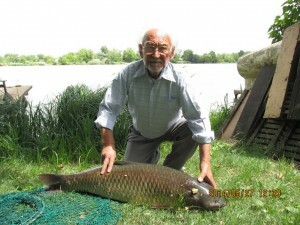 Late May, he caught what was one of the biggest fish in his life: a 21.8 kg grass carp. To be sure, this is not the biggest fish ever caught, even at this particular location. The biggest grass carp that was caught there in recent memory weighed 35 kg; and the biggest anything was a 70 kg wels catfish. Nonetheless, a 21.8 kg (48 lbs) fish is a respectable catch, which earned my stepfather a place in the local angler society’s record books. For what it’s worth, the fish was eventually released back into the river; in return, my stepfather was rewarded with a free license for next year. I don’t usually comment on soccer games because, well, I am a geek. I am not into sports. 7:1. Wow. 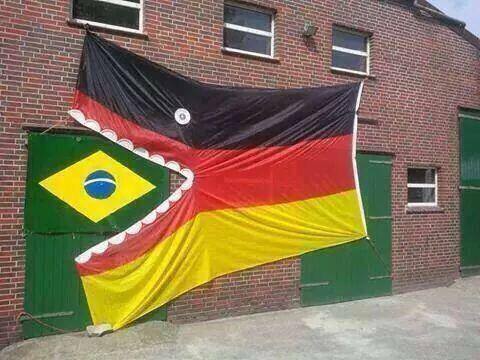 Poor Brazilian team and fans. I hope none get lynched or commit suicide tonight.